Flipkart’s next Big Billion Days sale will be held from October 10-14, India’s largest e-commerce marketplace announced today. This will be the fifth edition of The Big Billion Days (TBBD), with offers on electronics, fashion, smart devices, accessories and personal and home care products. As part of the sale, Flipkart is dedicating each day for specific categories. On October 10, Flipkart’s sale will begin with offers on products in fashion, TVs & appliances, home & furniture, beauty, sports, toys, books, smart devices, personal care appliances and other categories. October 11 is dedicated for sales on mobiles, electronic devices & accessories, while from October 12-14, the sale will be live on all categories on Flipkart. 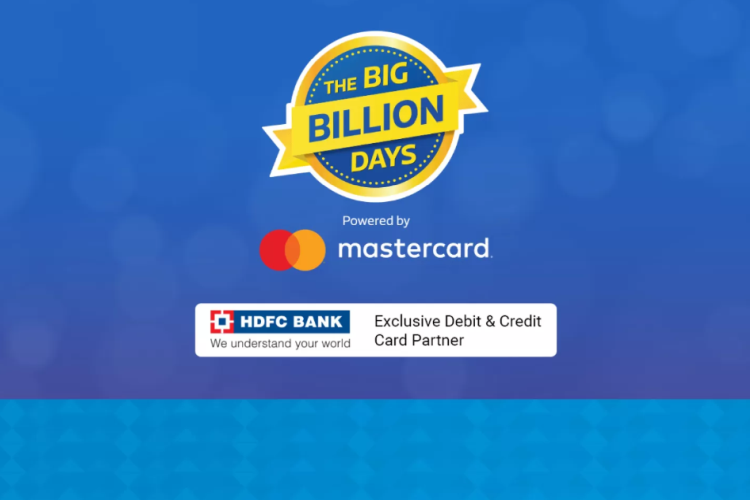 Flipkart says the latest Big Biliion Days sale is powered by Mastercard, with the theme being “Ab India Hoga Budget Se Mukt” which indicates big discounts and multitude of payment options. Customers will be able to avail exclusive offers on HDFC Bank debit & credit cards. Other payment offers include No Cost EMIs on leading cards and on Bajaj Finserv EMI Cards. In addition, you will get easy financing options such as Flipkart Cardless Credit which gives customers a credit line of up to Rs 60,000, along with Flipkart Pay Later to let customers pay at their own convenience after buying products. Flipkart has partnered with celebrities Amitabh Bachchan, Deepika Padukone, Virat Kohli and others to celebrate the sales offers. You can check out the Flipkart teasers for The Big Billion Days sale here.